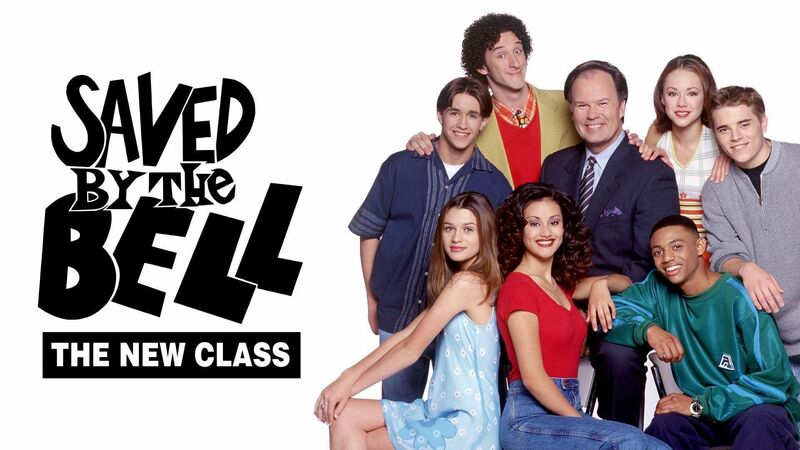 Here's where to watch every episode of Saved by the Bell: The New Class season 1. Mouseover or tap an episode to see where to stream it. Click or tap the play icon to stream it on the best available service. The Date Lottery Sep 11, 1993 It's been years since Zack, Screech, Slater, Jessie, Kelly and Lisa left Bayside High. Now some new students have arrived--Scott, Weasel, Tommy D., Megan, Lindsay and Vicki. In this first episode, a date auction is held to raise money, but new transfer student Scott Erickson from Valley High persuades Weasel to hack into the computer to switch the date names. The Slumber Party Sep 18, 1993 Scott disguises himself as his cousin to sneak into the girls' sleep over. A Kicking Weasel Sep 25, 1993 Fed up with being laughed at by the football team, Weasel kicks the soccer net and gets a chance to be on the football team. Scott fixes Megan, Lindsay and Vicki's battle for a single varsity cheerleading spot. Home Shopping Oct 2, 1993 Just before exams, Scott leads the gang on a venture marketing a so-called memory-enhancing drug on a local cable access channel, calling their show the ""Bayside Shopping Network."" Love Is on the Air Oct 9, 1993 Scott signs up to get on the air at the school's radio station, hoping to attract the girls. But they all ignore him when they hear Weasel, who is giving advice on love and romance under the name ""Dr. Luv."" George Washington Kissed Here Oct 16, 1993 Scott wants Lindsay to play Martha to his George Washington in the school play about the American Revolution, but Tommy D and Vicki are not too happy about the idea. Homecoming King Oct 23, 1993 Chad Westerfield, who has his eye on Megan, and Lindsay are leading candidates for Homecoming King and Queen. Belding's Baby Oct 30, 1993 Scott volunteers to babysit for Mr. Belding's son Zack. In order to impress a girl (Ashley), he offers up little Zack for a child modeling job. Good-bye Megan Nov 6, 1993 Megan's father, Judge Jones, wants his daughter to leave Bayside High and enroll in a private school. Swap Meet Nov 13, 1993 Weasel finds out he has a rare misprinted version of a comic book that is very valuable. After he sells it, Scott tries to get it back so he can sell it himself, buy concert tickets, and take out a pretty new girl, Rachel. Weasel Love Nov 20, 1993 Weasel's pen-pal Natalie comes to Bayside and joins the band, as do Scott and Tommy D, hoping to win a trip. Tommy A Nov 27, 1993 In order to get a car from his father, Tommy D must receive an ""A"" in either physics or speech. The gang pitches in to help him succeed at this seemingly impossible task. Also, Megan finds herself acting like an airhead over a boy. Running the Max Dec 4, 1993 As a class project, some of the Bayside students try their hand at operating the Max, but they nearly run it out of business. Then Scott takes over the management, much to Vicki's happiness.